Produced by JoAnne Sellar, Paul Thomas Anderson, Megan Ellison, and Daniel Lupi; directed and written by Paul Thomas Anderson; cinematography by Paul Thomas Anderson (uncredited); music by Jonny Greenwood; production design by Mark Tildesley; costume design by Mark Bridges; editing by Dylan Tichenor; starring Daniel Day-Lewis, Vicky Krieps, Lesley Manville, Camilla Rutherford, Gina McKee, and Harriet Sansom Harris. Color, 130 min. A Focus Features release. Earlier this year, a helpful piece entitled “Guide to the Worst Takes on Phantom Thread” appeared on an Australian Website. In this brief guide for the perplexed, replete with links, Rochelle Siemienowicz ably skewers some of the most obtuse misreadings of Paul Thomas Anderson’s frequently laugh-out-loud sendup of a ludicrously fastidious British couturier’s more than slightly sadomasochistic relationship with his reluctant muse. 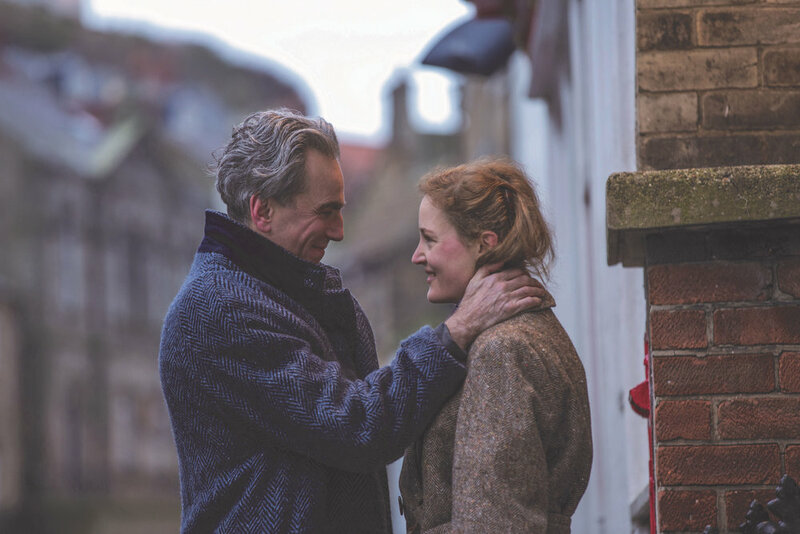 Siemienowicz efficiently dismisses accusations, many of them lodged by male critics, that Phantom Thread is somehow the wrong film for the #MeToo moment—and blithely refutes off-base claims that it enshrines “toxic masculinity” and does not sufficiently “apologize” for male misbehavior. Perhaps part of the implicit problem is that, unlike its fellow, much more award-laden Oscar nominee, The Shape of Water, Phantom Thread does not flaunt an easily digestible, on-the nose heartwarming message. Highly allusive in its propensity to quote, or pay tribute to, film history, Anderson’s approach, while far from hermetic or opaque, does not offer his audience predigested verities. Fashion designer Reynolds Woodcock (Daniel Day-Lewis) fits a dress on muse Alma (Vicky Krieps) in an early scene. To read the complete review, click here so that you may order either a subscription to begin with our Summer 2018 issue, or order a copy of this issue. Copyright © 2018 by Cineaste, Inc.